Since my expert wine selection process includes only two calculations – either a recommendation from a friend or a bottle that received 90 points or better from a reputable wine publication, my choice of this Bordeaux was outside my standard modus operandi. I was eavesdropping in the wine store and overheard that 2005 was a great year for Bordeaux and that you can’t go wrong if you can still find some. Lo and behold, I found this bottle and the rumors were correct… it was delightful. At $20.00 it was a great find. Easy to drink, smooth and not too heavy. That’s the best description I can give. I wish I could say that I can taste the aromatic undertones of berry with the mingling of smoky oak and cassis, but I don’t even know what that means. Hopefully you can find this in your local wine store. If not, ask if they have any 2005 Bordeaux they can recommend. We were lucky enough to get over to France in the car in the summer of 2006. We managed to load up on some fine 2005 Bordeaux reds that we started opening earlier this year. They are really fantastic. We did not break the bank either. We stayed just outside Sainte Foy Le Grande. Pretty near St. Emilion, a fine place in the region to find great wines. Lucky you! That must have been a great trip. The wine is really delicious. 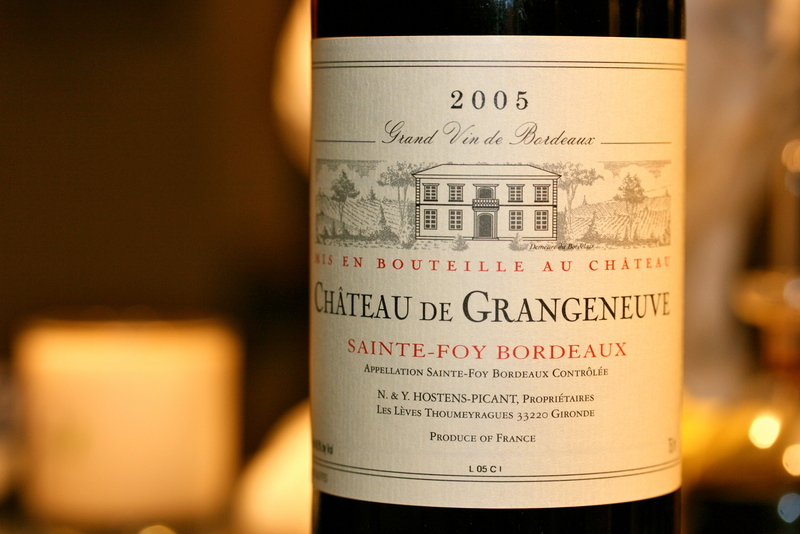 There are so many Bordeaux wines that are ridiculously expensive. It’s nice to see there are some that as you say, don’t break the bank and are truly fantastic!